When I was 12 years old, my mother cursed me. And I don’t mean she yelled profanities at me, I mean, she put a curse on me through my future progeny. I remember the day clearly. I was home watching ZOOM! in the living room. 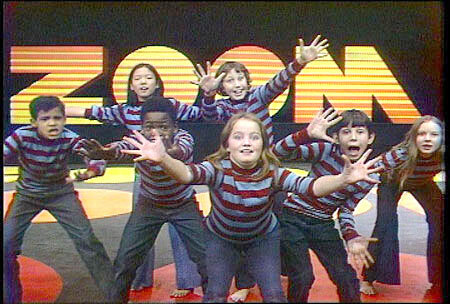 Remember ZOOM on PBS? It was an after-school show where kids did all sorts of fun stuff sent in by other kids. It was one of my favorite shows and identified me early on a dork of enormous proportions. On this particular episode, they were capturing spider webs. In this scenario, clearly not intended for children without adult supervision, you took a piece of construction paper and placed it behind a spider web. From there you softly sprayed spray paint onto the web. What wasn’t web would show up on the construction paper as paint, leaving behind the design of the web in negative. Easy enough, right? My sister was at work. My mom was at work. I was home alone, hoping to find something interesting to do. So, I went into the garage and got the only can of spray paint I could find. It was bright red. Fire engine red, in fact. 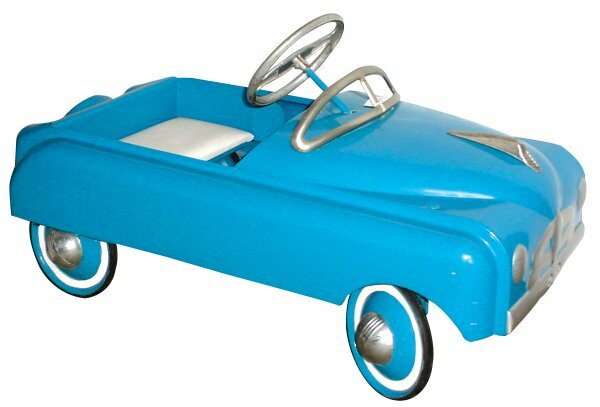 I know it was fire engine red, because it was the same spray paint I used to paint the antique powder puff blue convertible pedal car my Dad had gotten me… I don’t recall mom or dad being too happy about my actions that time either. Anyway, spray paint in hand, I went looking for construction paper. One would think that the house of a kindergarten teacher, my mom, would be filled with construction paper in many different colors, but I couldn’t find any. Granted, I was 12, so without it being in the open, on top of a stack of anything other than laundry and with a six-foot-tall neon sign saying “THIS IS THE CONSTRUCTION PAPER YOU’RE LOOKING FOR!” pointing to it, I wasn’t likely to find it even if I tripped over it. After more than six whole minutes of dedicated searching my pre-adolescent brain decided I didn’t need it. In fact, it came to the conclusion that in this activity, construction paper was like coconut in a cake, completely optional and most likely not at all necessary. Armed with a spray paint can and an eagle eye for anything arachnid, I ran outside and searched the yard for spider webs to create art. I didn’t see any webs on the grass and I didn’t find too many in the bushes and I didn’t notice any at all in the trees. I did however find a number of them in the garage windows. Let’s take a moment here to recap the ingredients in this particular activity – several spider webs, one can of red spray paint, one willful 12-year-old tomboy, several garage windows framed with white paint. No matter how you mix it, it was a recipe for disaster. When my mom came home, every window on her garage facing the street had little circles of red covering the corners of the window frame and onto the glass itself. To say my mother was a more than just a little mad, would be like saying that Ghandi was on a low calorie diet for a while. “Mary, what have you done?” she screamed. As hard as it may be to believe, this wasn’t the first time I had heard those words. I looked at her incredulously. “They were they only ones with spider webs on them,” I replied matter of factly. I’m pretty sure the fact that I didn’t say “duh!” is the reason I am still alive today. Mom closed her eyes, grabbed her head in her hands and gathered together her wits. You could almost hear her counting to 10 in her head. “Mary Elizabeth Carey, I swear, one day I hope you have a child just like you,” she said. The longest running curse in the history of womankind, bestowed at one time or another on every misbehaving kid on the planet by their mothers. I have a child who is just like me. When I was a kid, for a while I wanted to be an Olympic bicyclist, until the day I wiped out on gravel and ended up in the hospital with 22 stitches in my leg. My youngest son, Max, was determined to be a super hero when he was five, and jumped off a slide to prove he could fly. When he landed successfully the first time, he decided to do it again to show his friend, and promptly fractured his foot on landing. When I was a kid, I couldn’t find a brush one day, so I used one of those little pot holder loom thingies to comb my hair. The resulting rat’s nest of a tangle required an emergency visit to the stylist. Max decided one day he didn’t like his bangs or his side burns, so he cut them himself, using a razor, leaving one inch stubble over his right ear and bangs slashed diagonally across his forehead. This also required an emergency trip to stylist and an entire summer growing out a crew cut. When I was a kid, I wore my favorite red patent leather go-go boots until they were so tight that my second toe on both feet grew crooked because I wouldn’t let them go. Max had one pair of pants that he would wear all the time. All. The. Time. until they could no longer be called “floods” or “highwaters,” as much as really long shorts which I had to steal from his room in order to throw them away. When I was a kid, I would stay up late at night, reading Nancy Drew and Trixie Belden mysteries until my Dad came to tuck me in or I passed out asleep. Max will sneak his way to reading Creepy Pasta and other things online on his Chromebook until the wee hours of the morning, or until I walk into his room at 1 in the morning and tell him it’s time to go to sleep. I have a nasty habit of just walking off, away from the people I’m with, if I see something that interests me. When Max was little and we visited the zoo, as we often did, my husband, older son and I routinely took turns at “Max duty,” to make sure he didn’t walk away and end up figuring out a way to get into the giraffes cage or end up petting the Bengal tigers. Now I understand what my Mom went through raising me. I understand the sheer terror of wondering what your child is up to because the house suddenly goes quiet. I understand the fear of not knowing whether or not you child will survive into adulthood even without the threat of you beating them to death. I understand what kind of conflicted emotions she must have felt the day I accidentally sucked the gerbil into the vacuum cleaner trying to help out with the chores, or when I spilled India ink on her new carpet while drawing her a picture. I’ve stood in her shoes. It’s not exactly a true curse, and it’s not exactly a true blessing, but I think it’s a little of both. Mothering any child had its heart-stopping moments. But having a child like me, helps me to see the world through my mom’s eyes for a while, and helps me to understand the world Max sees as well. I hope that as Max grows into a man, that I can be like my mother was with me – patient (most of the time), willing to let me be me and understanding of her willful adventurous little girl. 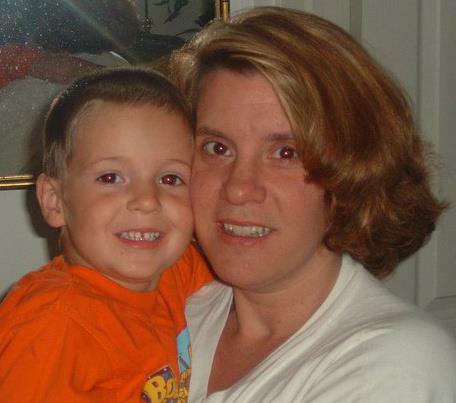 Mom taught me a lot about letting your child be independent and responsible and capable of facing up to the consequences of their actions – especially if it involves stealing the family car for a joy ride at 14 and knocking over a basketball pole, something I pray Max never does. And I hope I can be as firm as she was in her resolve to teach me how to be a better, calmer, more focused person. It’s a daily task, I’ve learned, that isn’t easy and forces you to look into your child’s hurt and confused eyes while you dole out punishment. She taught me how to do that, even if she never told me how hard it was. How she did it alone, and without killing me, is beyond me. Thanks to her, I think I turned out pretty good. And because of the things I learned from her, I think Max will turnout pretty good too. After all, he’s well into his teen years and he’s still alive, so… there’s hope. It goes without my saying anything that one day Max will have a kid just like him. And my mother and I will have given Max all the tools he needs by then to deal with the curse. Hopefully, he will see it, as I do, as a blessing instead. If you haven’t purchased usage rights to the Boy Jumping image, please remove it from your site. When Googling “A Mother’s Curse” the stories that appear reference girls and women. Seems like no male has ever experienced the misfortunes of a Mother’s Curse. If I am a first, then so be it. First, allow me to state that I am the product of parents who should have never had children. Based on what I personally know, and the rumorings of many, my father was one of few charmers in our small town. Mother was one of town’s most lovely eligible 18 year old beauties back in the early 1950’s. Here’s the conundrum: Father was short, dark, but compensated for this with his smooth tongue. Mother was a much celebrated tall, fair skinned, brunette who resembled Jaqueline Onasis. Long story short, The well-known short Charmer got the much celebrated tall brunette. They married. I was born one and a half years later. However, Father and Mother continued living according to their hometown notoriety. Father was still the charmer. Mother was still the celebrated tall brunette. Little brother and I grew up with little to no guidance, instruction, direction, love, hugs, “I-love-you’se,” etc. We had to figure life out on our own. The only parental love we ever felt and experienced came from aunts and uncles. The guidance, instruction, and direction came by way of the US Navy which we both eagerly joined as soon as we each turned 18. Years after our Honorable Discharges from the Navy, little brother and I were visiting. 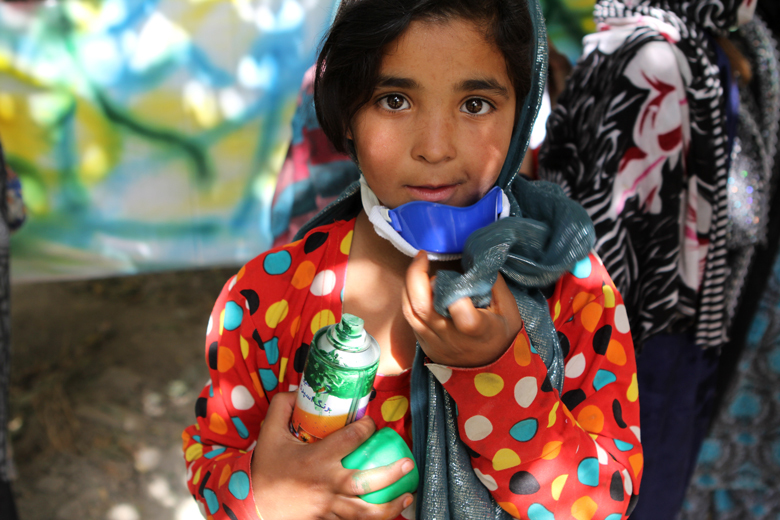 We hardly ever spoke about our upbringing. I will never forget how my normally soft spoken little brother was engulfed in a fit of rage. He angrily spoke about our unfortunate upbringing. I will never forget his words: “We were raised like pets! We got food, water, shelter, and nothing else!” How right he was. It wasn’t long after that in which Mother said (prophesied?) the following words to me: “Mark my words, you are going to end up living alone.” Since those words were spoken, my 25 year marriage ended in a horrible divorce. Two of my adult daughters no longer speak to me because I chose not to intervene in a family dispute. My GF and I are practically living our final days. There’s more, but it wouldn’t be prudent to describe further details. Mothers, please be good to your sons. Love them, hug them, tell them how proud you are of them each and every day, even when they don’t much make you feel proud. BTW, nothing builds confidence like the Love of a Mother. Even when your sons do wrong, celebrate the unconditional love you have for them. Should your son’s ever wish to hug you, please, do not shrug them away. let them hug you. Let them kiss you. I am a 59 year old man. I will forever struggle with the lack of a mother’s love.